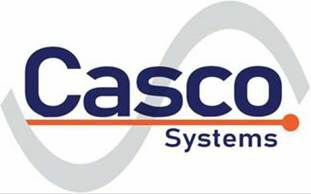 Casco Systems programmed eight AB SLC 500 PLCs & PanelView 550 OITs to control seven hydro-electric governors and related balance of plant equipment. System automated all turbine/generator control and alarms functions, governor speed and load regulation, auto start/stopped units, interfaced with existing SCADA RTU, and communicated with a supervisory water level control system via an Ethernet Network. Project included coordination of seven PLC's (one per unit) and a shared automatic synchronizing system. A particular challenge on this project was the remote location and schedule for project commissioning. This plant is located on the Exploits River in Bishop's Falls, Newfoundland. Due to scheduling restrictions commissioning and installation were performed during the winter of 2002-2003 under extreme weather conditions. Commissioning of the control and hydraulic systems as well as electrical control installation was supported by Casco Systems end to end, culminating in the commissioning of six new American Hydro Seagull horizontal 3 MW turbine/generator units and the reconditioning of a seventh existing unit. When completed the plant was able to be run remotely from the clients SCADA control center, providing a reliable, cost-effective source of renewable, clean power.